Traditionally this day was the celebration of spring equinox – a time when the Sun has climbed celestial mountain so high that daytime and night-time are equal length. On The Great Day there are several essential customs that are loved and demanded by everyone - egg dyeing and swinging on swings. 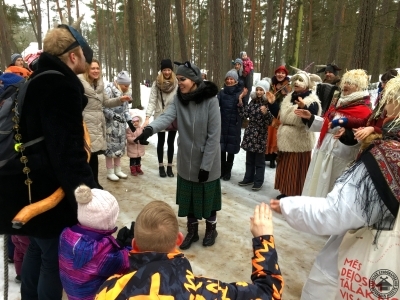 On this day everyone was also be able to play many ritual outdoor games and sing together with folk music group "Skandinieki". Metenis is the herald of spring and beginning of a new year, as well as the most cheerful holiday of the year and the most popular time for mummeries. 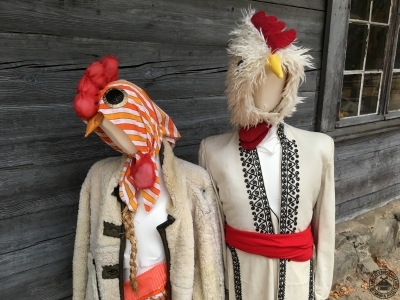 On this day museum was filled with masks, dancing and playing together with folk groups, everyone was offered a chance to visit candle maker's and blacksmith's workshops, go horseback riding and try delicious Metenis' treats. The Winter Solstice or Yule Log Eve is celebrated on the shortest day and the longest night of the year. As in old times, to ward off the darkness, cold, last year's mishaps, bad work and thoughts, people roll the Yule Log from one farm to another and eventually burn it. 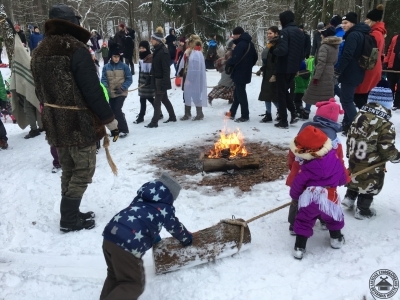 At the museum it is time for masking, creative workshops, Christmas market and seasonal treats, dancing and singing together with folk groups and, of course, rolling and burning the log. 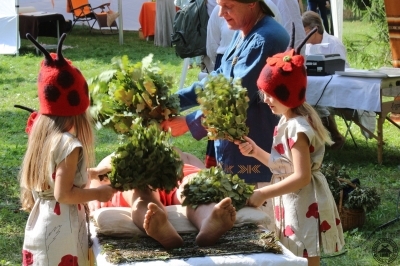 Masking and mask parade, dancing and singing together with folk groups, creative seasonal workshops, craftsmen, horseback riding, games of old and delicious Martin's Day treats. The time when nature is almost ready for the winter and days shorten considerably, marks the end of autumn as everything falls deeper into hibernation. Along with the fog gates to the other world are opened and it is time to expect our ancestral spirits. 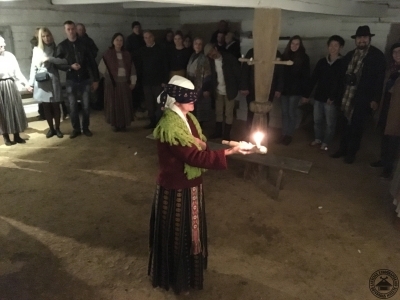 Hosting the feast for the dead at Hernhuter’s house is a tradition on this Eve and was celebrated by singing in honour of our ancestors together with folk groups. Autumn Solstice, or the day of Miķelis, is associated with completion of the field works, harvest festival, rich feast and loud rejoicing. 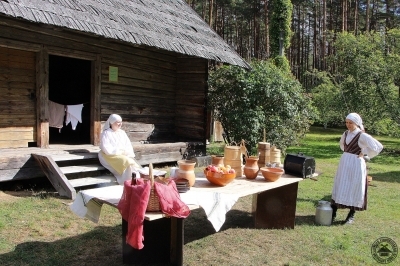 The festival at the museum was enriched with a fair offering autumn harvest bounties, products made by craftsmen, dancing together with a folk group and delicious pumpkin soup. Event of the European Year of Cultural Heritage. 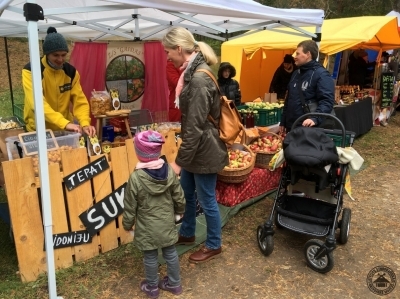 On this day visitors were encouraged to find out about the Agrarian Reform in 1920, the origins of Latvia and everyday life back then, as well as to get an idea of the everyday life in “Jaunsaimnieki“ – a type of household, that arose due to the Agrarian Reform. Also, the visitors were invited to visit the workshops of craftsmen, find out how people used to wash laundry, made butter and managed other daily chores. At the start of a new school year, the museum held a day of playing where it invited children with their parents in fresh air and nature to enjoy playing a variety of both traditional and modern plays and games. Moreover, various contemporary competitions, creative workshops and dexterity outdoor games took place. 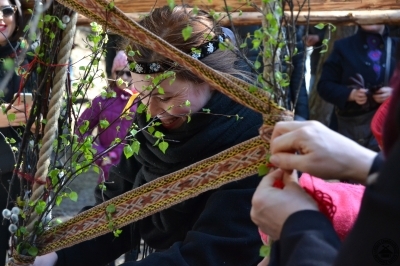 Every year this event also gathers craftsmen from the entire Latvia. Both masters and trainees arrive at the museum to demonstrate their masterpieces, inviting everyone to participate and try out ancient tools. 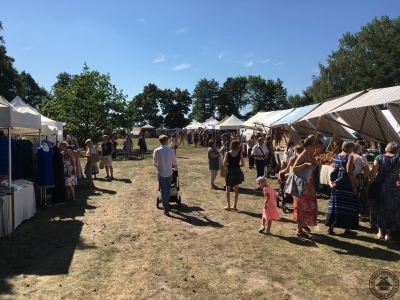 Unlike the traditional ethnographic June Fair, the August Festival invites Latvian craftsmen who apply a wide variety of methods and materials, involving in their production of goods not only crafts skills, but also elements of technology development and modern design. The crafts combine the beautiful with the useful: artistic individuality, crafts skills and mercantile wisdom. 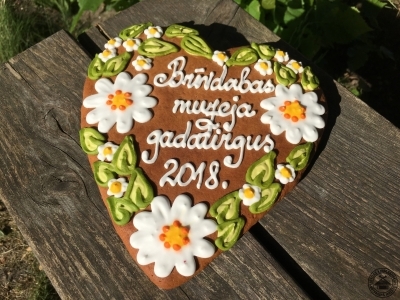 This year The Fair gathered more than 520 craftsmen, 170 food and catering companies and 21 dance and music performances from all historical regions of Latvia and abroad.